Bryan Stevenson, founder of the Equal Justice Initiative, implores students to get proximate to their own learning; to come face to face with the issues they are studying in order to understand the complexity of the world around us. The foundation of any community rests in an appreciation and understanding of each other. Conversely, we undermine the communities in which we live the moment we allow our own limited experiences to inform our understanding of others. We must actively listen to each other's stories as we work to shape our own narrative. 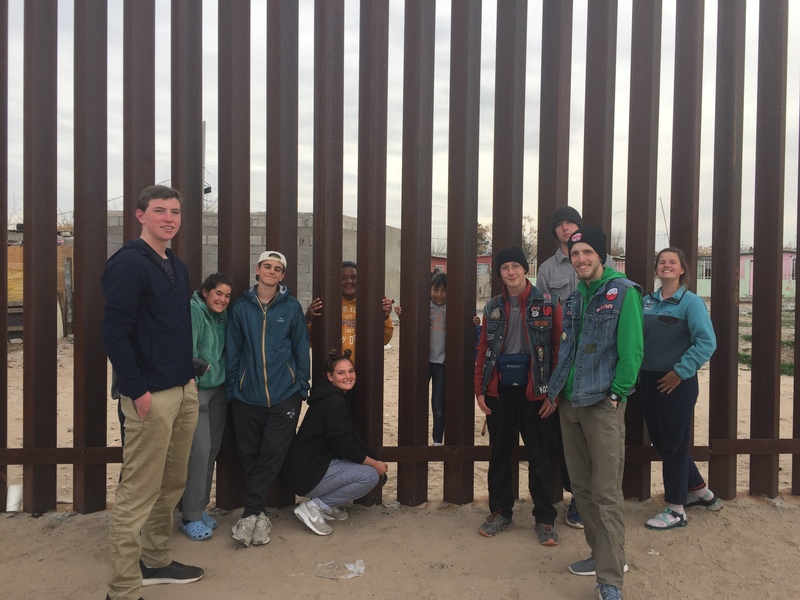 The photo (above) was shared by Mountain Classroom at the Mexico/United States border in El Paso, Texas this week reminded us of the powerful proximate learning opportunities Proctor’s educational model affords. No other school shatters world views at the same rate as Proctor. Thanks to our five term-long off-campus programs, 90 (a quarter of our student body) students study abroad each year. They travel the globe living and learning alongside each other immersed in other cultures and face-to-face with challenging issues. This opportunity for proximity is not limited to our off-campus programs, however. Sometimes, the most powerful moments are right in front of us on campus, and we simply must open the door to uncomfortable conversations in order to fully understand the depth of experiences of those with whom we share meals three times a day in the dining hall. On Saturday night, Proctor is scheduled to host a dance for students of color from Proctor and other Lakes Region Schools (it now looks like a major winter storm will postpone the event). Holderness School hosted a similar event this fall (photo below) that was met with considerable enthusiasm by all in attendance - a place for students of color to feel free to be themselves without the constructs of a predominantly white boarding school implicitly telling them who to be or how to act. 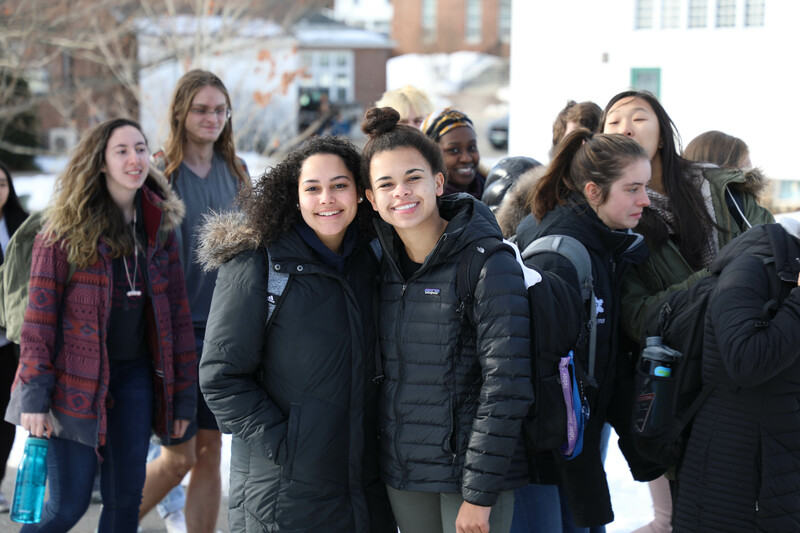 Held two days before Martin Luther King, Jr. Day, this dance has sparked valuable conversations among students wondering why Proctor would host an event for an exclusive group of students. Shouldn’t we be stressing similarities rather than differences? Shouldn’t we be having conversations around race and culture all together rather than in separate groups? We say with sincerity and confidence Proctor is a welcoming place where individuals are truly seen as individuals, not as a member of racial, ethnic, or religious group. But, the reality is less than 10% of Proctor’s student body self-identify as non-Caucasian. Through conversations in English classes (all ninth graders are reading The Hate You Give by Angie Thomas), and through assembly discussions with multi-cultural coordinator Fiona Mills and faculty member Junior de la Hoz, the rationale for providing space on campus for affinity groups to meet is well understood. Affinity groups for students of color are just one of the many affinity groups schools must work to support. Every student benefits from having a safe space to share their experiences regardless of who they are. 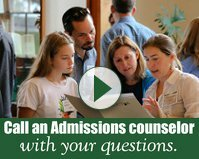 We encourage you to read more about affinity groups in independent schools HERE. As Rosetta Eun Ryong Lee of Seattle Girls School shares, “Affinity groups offer a space where marginalized groups can experience welcome and affirmation. Sadly, for many, this is a unique space, so it is especially helpful to have affinity groups for marginalized identities.” As we seek to build community and to wholly understand the experiences of those around us, sometimes we simply need to pause and practice the simple art of listening. We asked some of our students to share their experiences as a student of color at Proctor. Their responses are below. 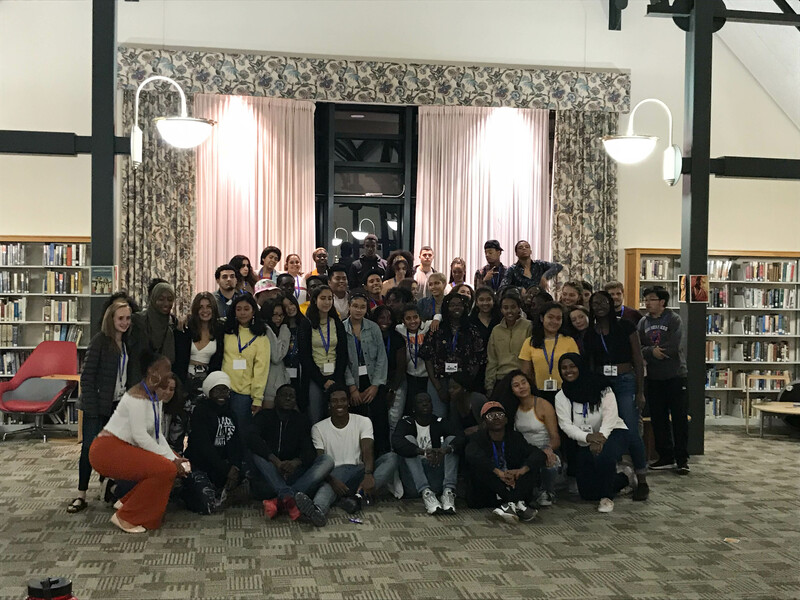 The opportunity we have as a community is to unpack our own experiences and beliefs in relation to the experiences lived by students of color at Proctor; to celebrate and learn from the voice they have the confidence to share. I love Proctor and the people here so much. There are challenges associated with being a student of color at a school that is mostly white, but those challenges aren’t because of stereotypes or racism, they are simply because people don’t fully understand me or my background. It’s not intentional or malicious, it’s just a reality. My middle school was very similar to Proctor, actually probably “worse” in terms of diversity, so it was not a shock to step foot on Proctor’s campus. I knew what I was stepping into, and Proctor’s community has been so much better than other school communities I’ve been a part of in terms of accepting me for who I am. But that doesn’t mean it still isn’t hard to be a student of color at a school that is predominantly white. I was scared to come to Proctor in general, a new place, away from home, but when I got here I struggled to relate to anybody about being black until half way through fall term of my first year. 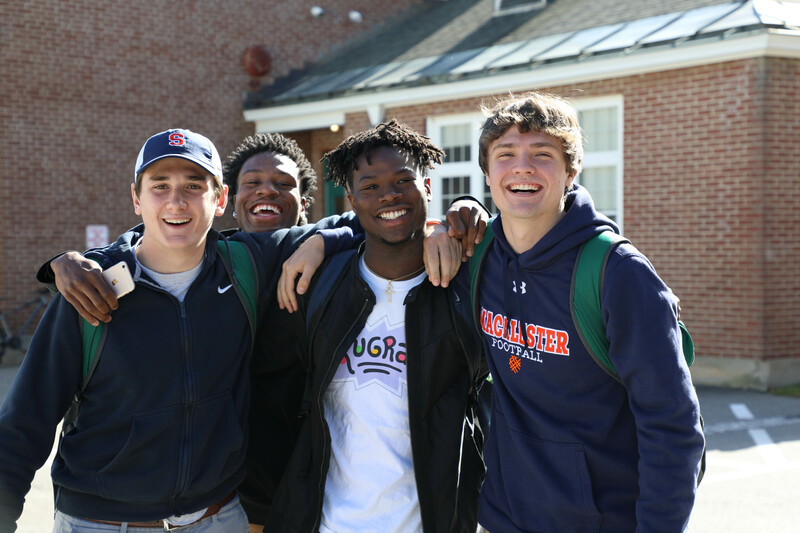 I didn’t play the same sports as some of the other black kids, and I don’t necessarily come from the same type of background, so I was afraid what other students of color were going to think of me, and struggled to find my identity here at Proctor during those first few months. I didn’t seem to fit with any group of kids. I feel completely plugged in now, but it was definitely a process. Yea, it is the little things. I was the only black kid in my freshman class last year, and in my dorm. Kids would ask why I wear a dew rag to bed and make fun of me. Not in a mean way, but just in a giving me crap kind of way. It’s that feeling of having to explain something because I am different that gets exhausting. The little things, yes! Like spices and seasonings in the food. I guess we all grow up with a certain type of food and seasoning and you miss that when you don’t have it day in and day out. Also, like she said, hair! People don’t understand, and are often afraid to ask, why I would want to wear a head scarf and or need to get my hair done. I know this might sound stupid, but one of the little things that drives me crazy is kids pulling out their phones to record one of us dancing at a dance as if it is a show or something. It makes you think twice about just being yourself. It makes you self-conscious, and I know all teenagers get self-conscious, but when it has to do with how you act even though what you are doing would be totally normal at home, it doesn’t feel right. When I speak my mind regarding this dance coming up or another issue that impacts people of color directly, people treat me like I’m different or lumped into a group as that “crazy black girl”. I’ve felt this a lot in the last couple days. People don’t understand that students of color should be able to have something for ourselves, a place where we can relate to each other without the close eye of others watching us or judging us, where we don’t have to prepare ourselves for the backlash we are going to get for simply being “us”. No one is trying to push our friends who are white out of something, we are just trying to have a space where we can play our music, dance the way we want to dance without feeling different or watched. The one area of support I feel Proctor could use is having more faculty of color, or just diverse faculty in general, on campus. Having an adult I could go to with questions, problems, uncomfortable situations, advice on my hair, just little things like that would be so valuable. I love my advisor, my dorm parent, all the adults here at Proctor, but there’s something to having someone to talk to who ‘gets you’ that is missing for all of us students of color at Proctor. YES! More diversity in our faculty. I think we all want someone to be our advocate on issues related to our ethnicity or background, and having an advocate who is living the same experience as I am would be so valuable. Plus, we would have an example to follow, to look up to, that I think we all would like to have. Hearing these honest words from our students isn't easy. They can make us feel as though we've failed a group of our students. So often the first response of those in the majority is one of defensiveness, of wanting to reply, "I'm sure that situation was an anomaly, you must not really feel that way." But we cannot discount or contextualize the experiences of others. It's not about tolerance, it's about listening. It's about respecting the voices of each individual in the community and providing opportunities for all of us to share who we are and what we believe without judgement. 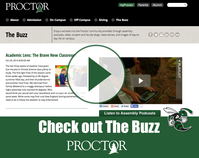 Are there opportunities for Proctor to better support students of color? Absolutely. But these words shared by our students are not a sign of failure for our community, they are indication that we are open to conversation, open to hear the other and to embrace the diversity that makes us, us.